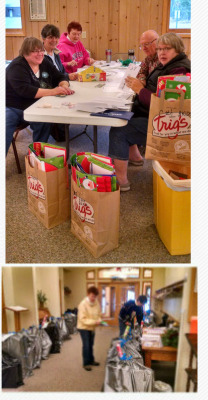 For over 20 years, our congregation has been supporting families through our Christmas for Kids program. Shoppers are head out to purchase clothing and gifts for local children, using requests from the identified families. All together, many children will have a happier Christmas because of gifts from our church. Large bags filled with gifts will be delivered to families from North Lakeland School, Camp Jorn, the Mercer Food Pantry, and to some church families. We always have plenty of willing shoppers, showing the enthusiasm of congregation members for this long-time mission project.